Unsurprisingly, given that Goldstein is a professional philosopher as well as a novelist, there is a a lot of philosophy in this book. Some philosophical ideas are explicitly introduced and mentioned as such, with Goldstein talking through her characters to explain the concepts. This is a different approach to that of Jean-Paul Sartre (the other philosopher-novelist I have read): his novels are deeply infused with existentialist ideas, but they don’t really talk about philosophy and philosophers as such. I recognise most of these ideas from my own readings over the last few decades. There is also a lot about Jewish religious tradition, especially within the Hasidic sect. This is all quite detailed, interesting, bizarre, and according to the endnotes, true. Apart from all the explicit philosophy and religion (and philosophy of religion), themes relating to these things tie the plot and characters together. Most of the main characters are interesting and quirky in their own way, plausible but not too much so, and thoroughly engaging. 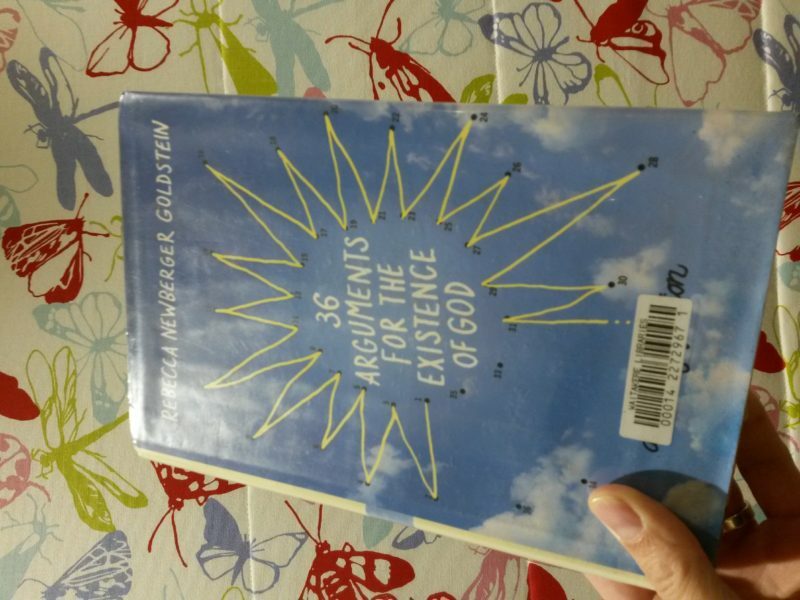 And after enjoying the novel itself, I was pleased and surprised to discover that Goldstein has included the actual 36 arguments as an appendix in her novel. This is a great read in itself — it would make a great little standalone pamphlet or website. 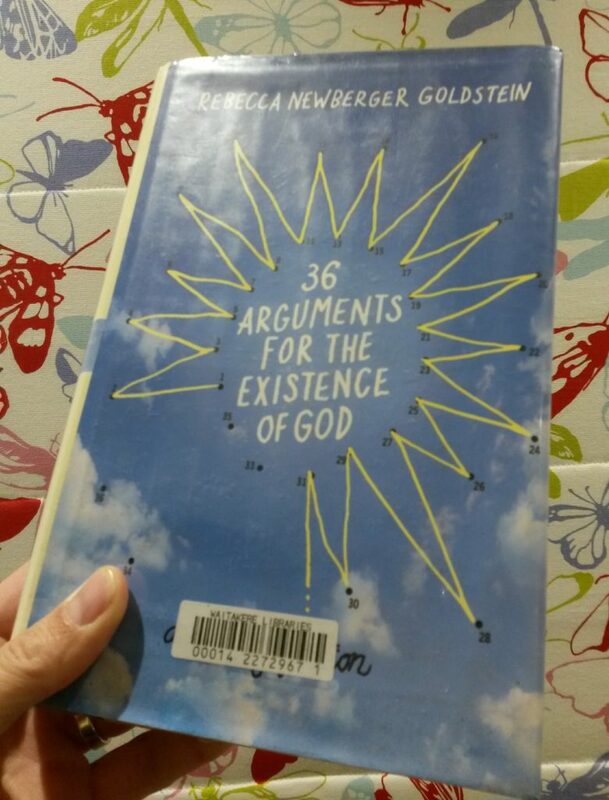 It’s useful if you are trying to work out for yourself whether God exists, or if you are arguing the point with someone else. This review is about books, novels, philosophy, Rebecca Goldstein, Steven Pinker, TED. Bookmark the permalink.